There’s been a major shortage of butterflies this spring and summer. 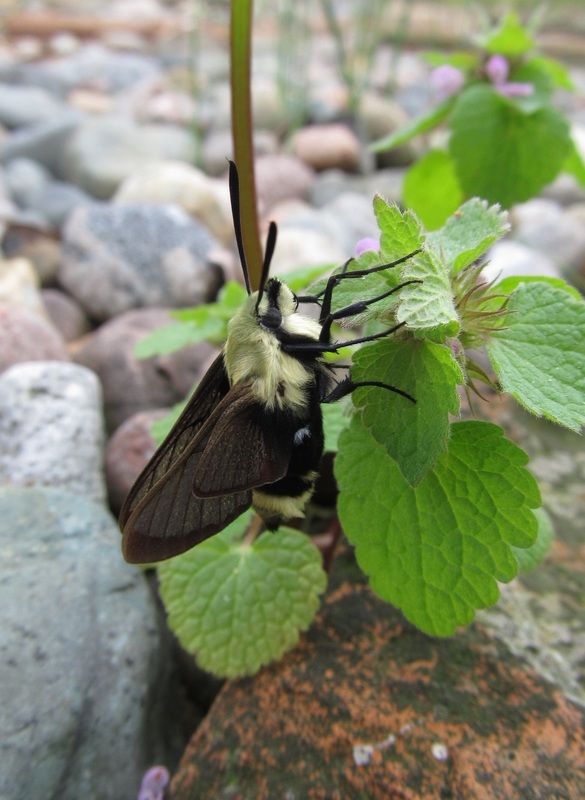 Obviously, I was excited when this eight-spotted forester moth (Alypia octomaculata) landed near me in the backyard. It has two white spots on each wing. 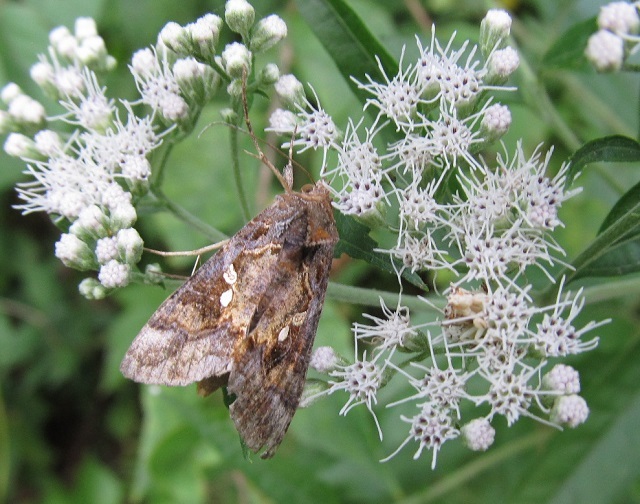 It’s a day-flying moth and one that’s easy to spot. Their range includes the eastern part of the United States, Texas and Florida. 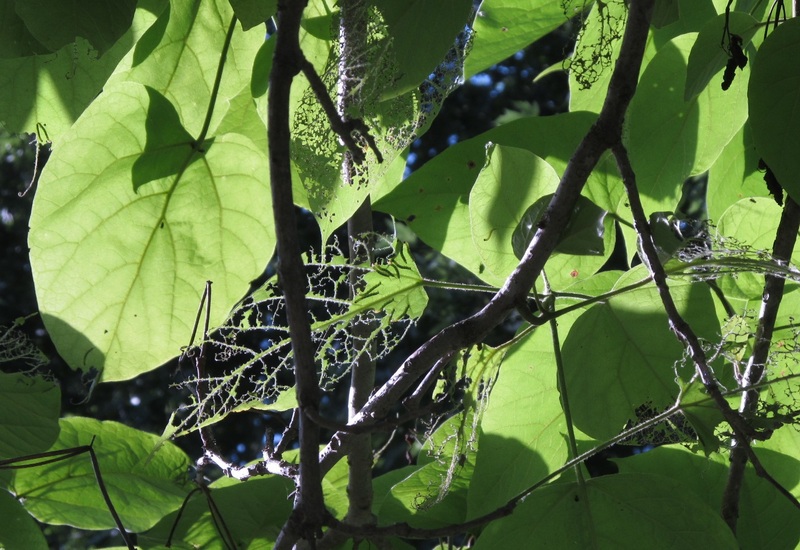 They lay their eggs on grapes or Virginia creeper…. and I hope to see more. I start a loop walk of my backyard before going in for the night. Widow skimmer (Libellula luctuosa) rests in the love-in-the-mist. 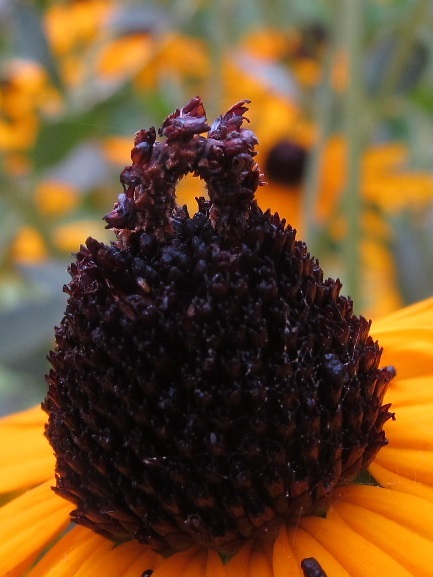 and has an interesting seed capsule. A crustose lichen grows on the old pear tree. I refuse to cut down what’s left of the tree’s skeleton. This moth posed for only two more pictures after this one. A little light orange shows on the tip of its abdomen and on the leading edge of its forewing. I found this oddity in the grass. The white fluff was all I saw at first, until I started to pick it up … there was a dead caterpillar attached to it … it looked dead. If anyone knows what the white fluff is, I’m interested in knowing. The buds on this leek are barely beginning to opening on the first of June. 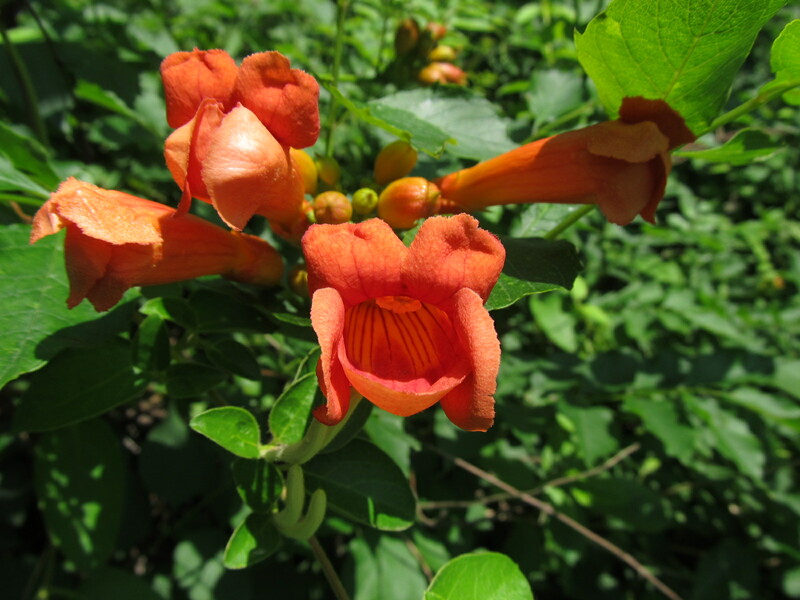 It is a perennial. 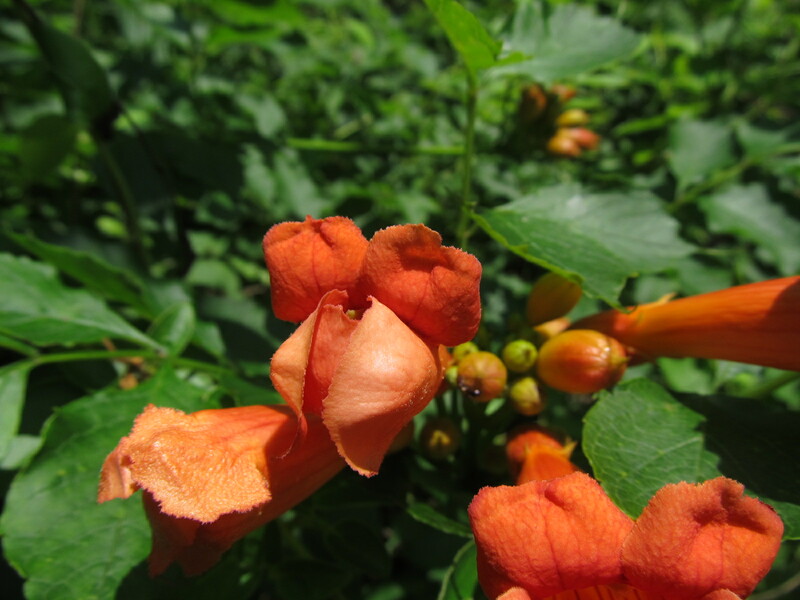 This one stands five feet tall and soon will display its flowers. The moth caught my attention as Buffy and I walked a loop around the backyard. I started taking pictures before I realized the moth wasn’t alive. 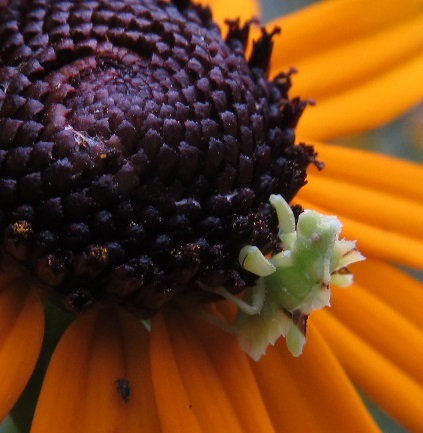 Then I saw the reason why … an ambush bug, the cream-colored shape hiding in the flower heads in the lower right. 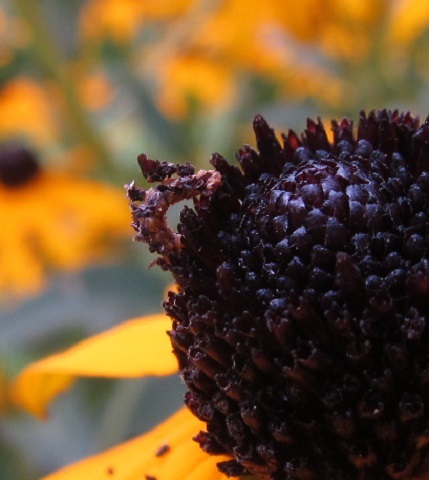 This angle better shows the ambush bug. This little caterpillar goes by the name camouflaged looper. 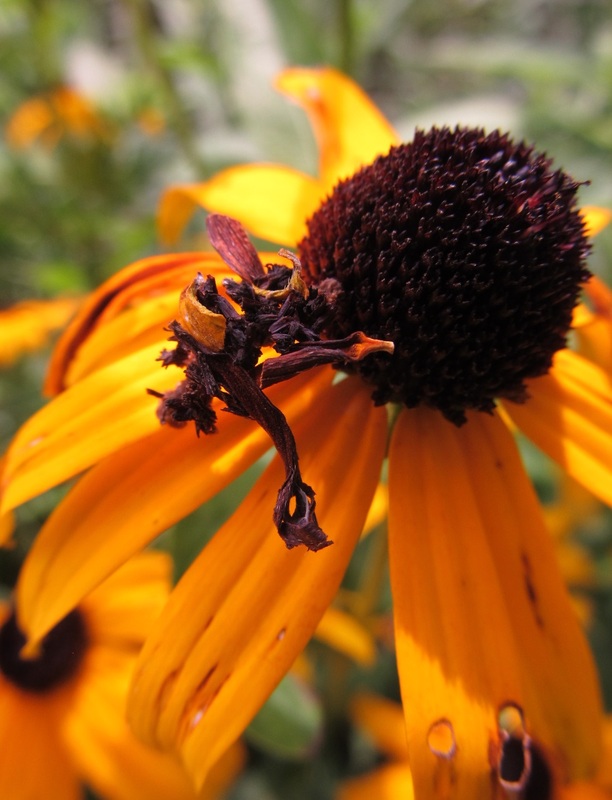 Camouflaged loopers are an inchworm, and they attach pieces of the plant they’re on to camouflage themselves. They change their attire nightly. I think this one could definitely be classified as flamboyant. 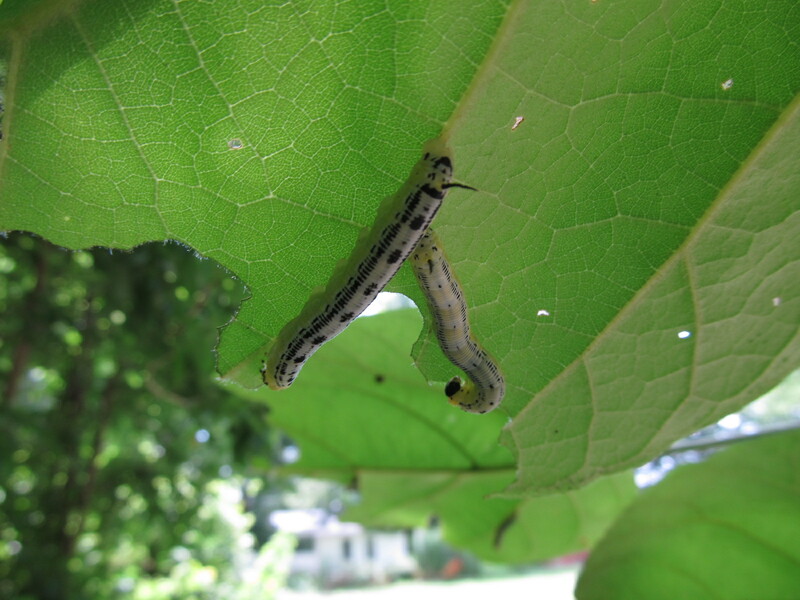 They are the caterpillar of the wavy emerald looper moth (Synchlora aerata). 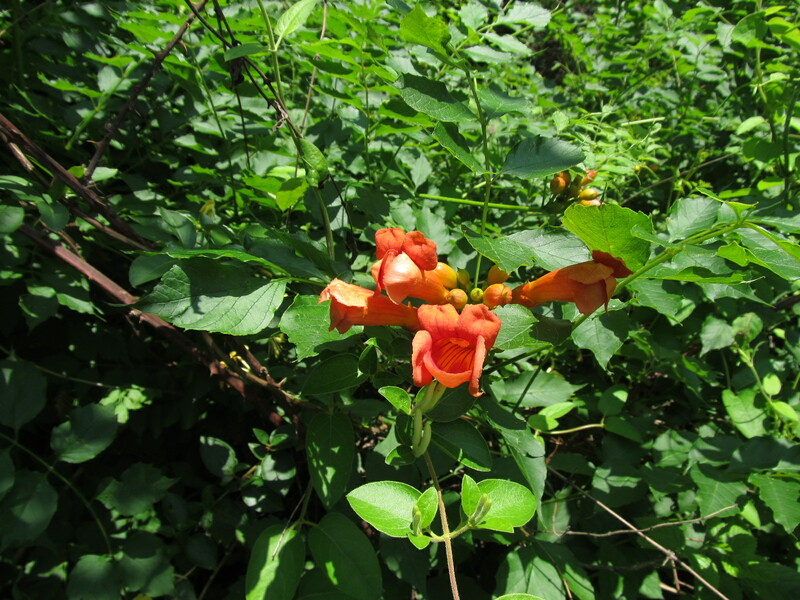 They prefer composite flowers and change their “attire” nightly because the petals wilt. I don’t have a picture of the moth in my files. 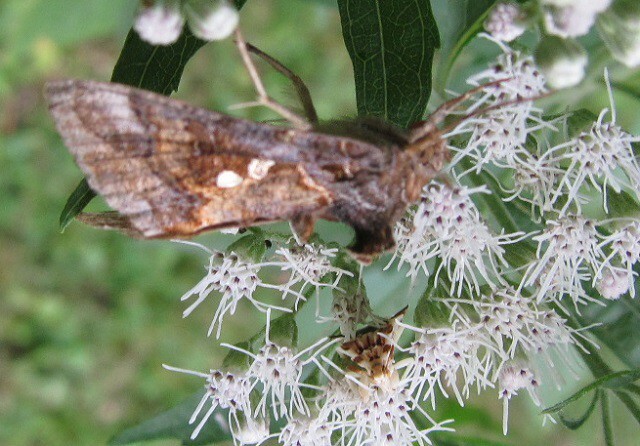 The moth is lime green with two thin white wavy lines. 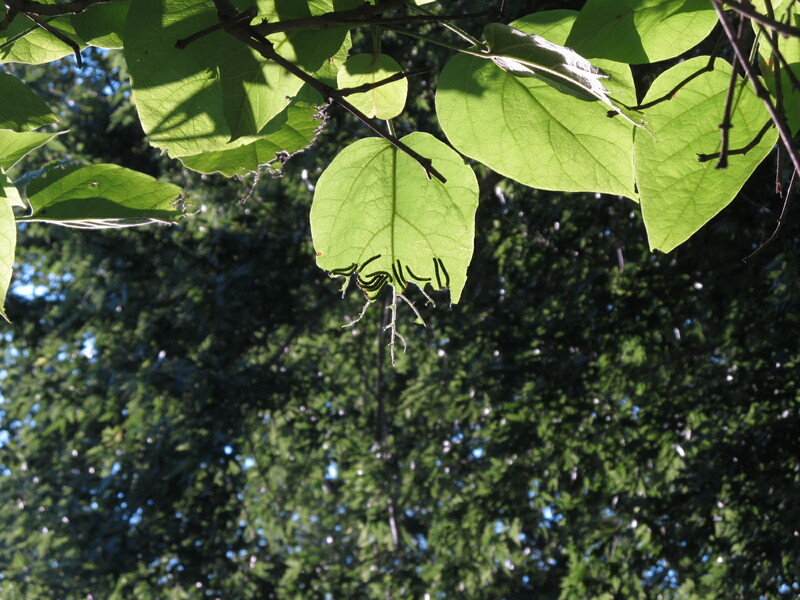 A picture from below the leaves of our catalpa tree. There are sunlit shapes and shaded ones in this complicated composition. There’s the linear lines from the tree’s branches. 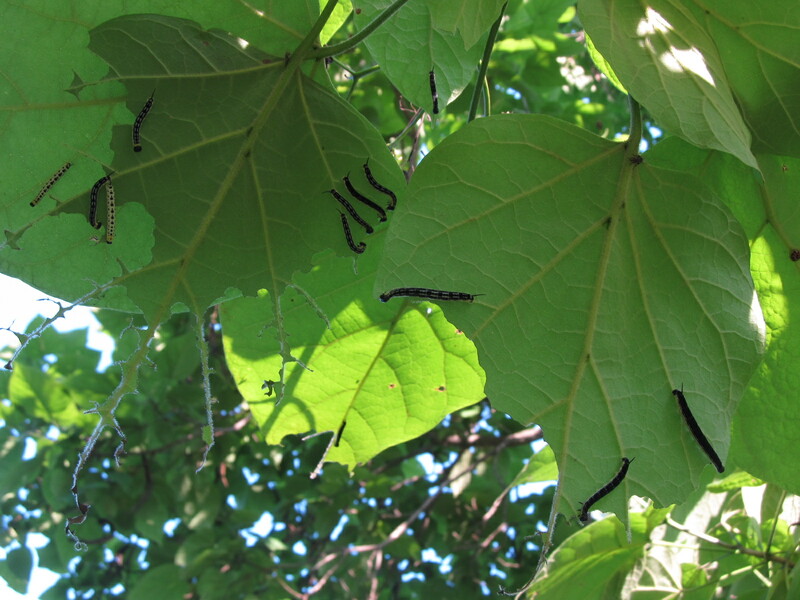 There are leaves in their natural state and others that have been skeletonized by the catalpa hornworm caterpillars. 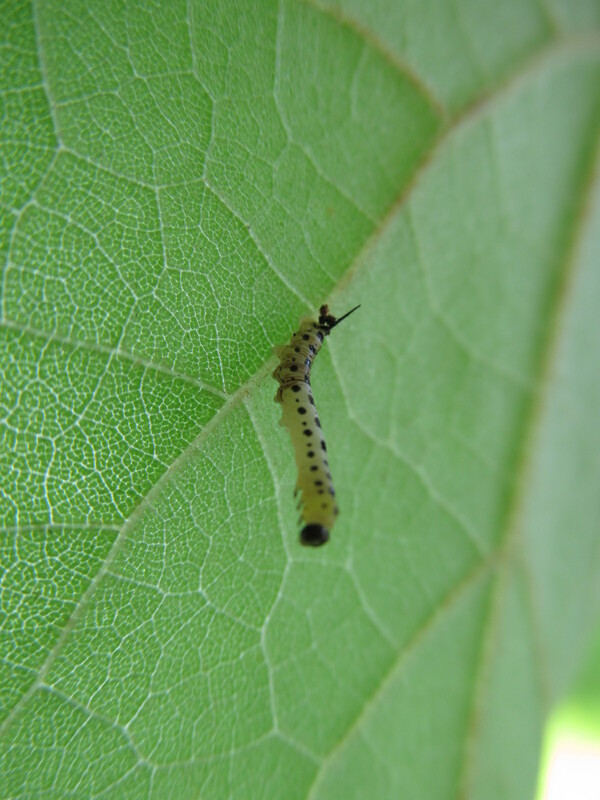 They stay on the underside of the leaves where predators less likely to find them. This caterpillar was higher in the tree. I thought it was sick or dead when I took the picture. It turned out that the caterpillar was molting — shedding its skin. There’s also variety in their coloring. 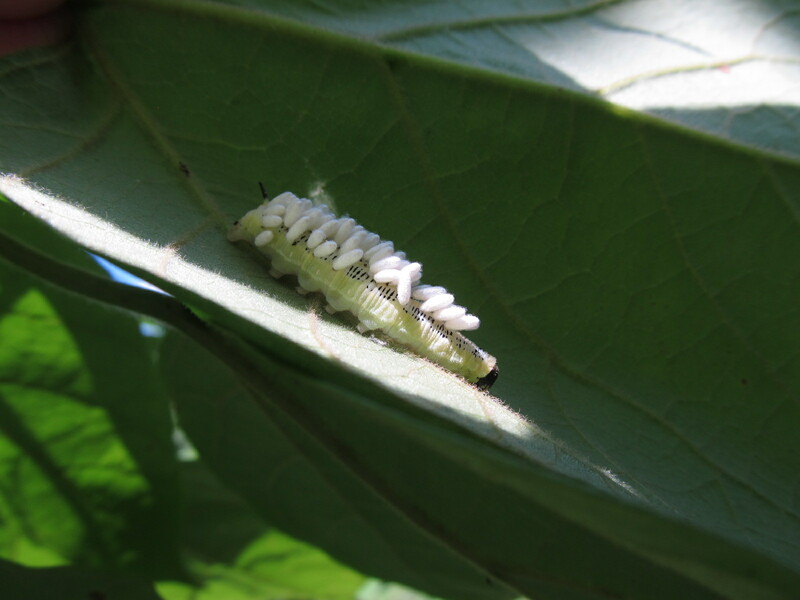 Cocoons of a parasitic wasps cover most of the back of this caterpillar. They do have variation in the color of their patterns. 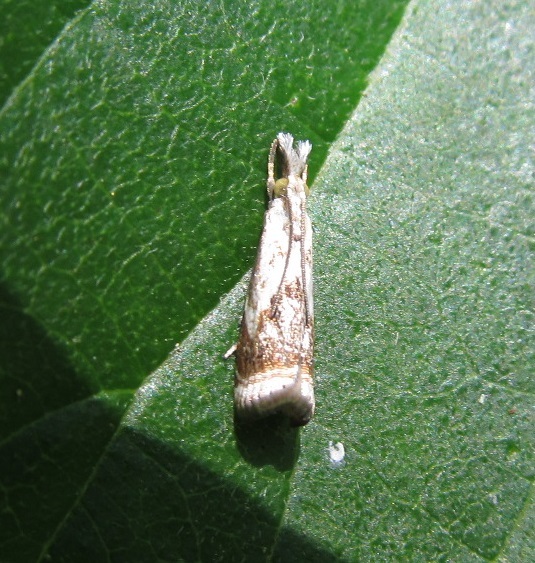 The full-grown caterpillar burrows into the ground, forms its pupa and the moth emerges in late spring. 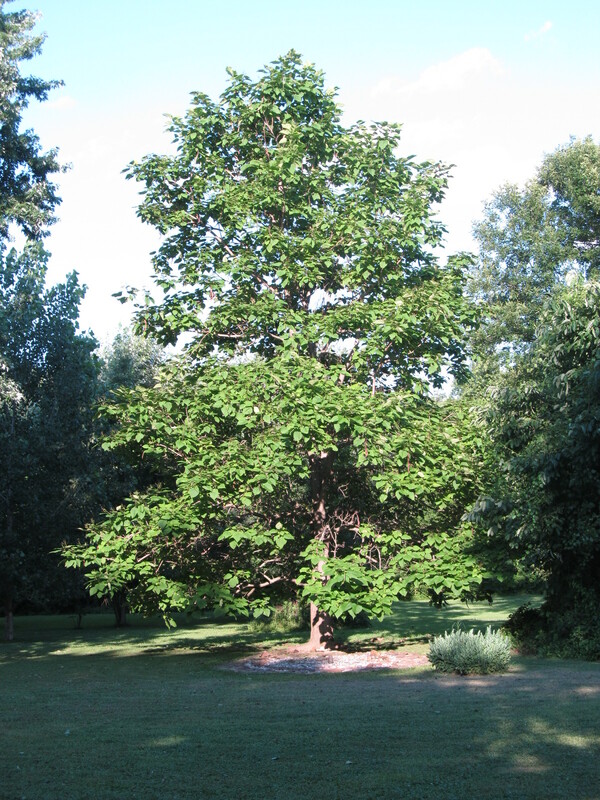 Our catalpa tree stands about 50 feet tall. I didn’t expect to find royalty while walking around our backyard. The “robe’s pattern definitely looks like it belongs to royalty. She has to come from a kingdom far, far, FAR away, like from another universe. Her majesty Klemucheckee introduces herself. Maybe she has a palace back in the shrubs where she stays in when she’s here. She says she lives in a Heehimtoo (palace) high in the growth of a large floating island. I hope she visits again. 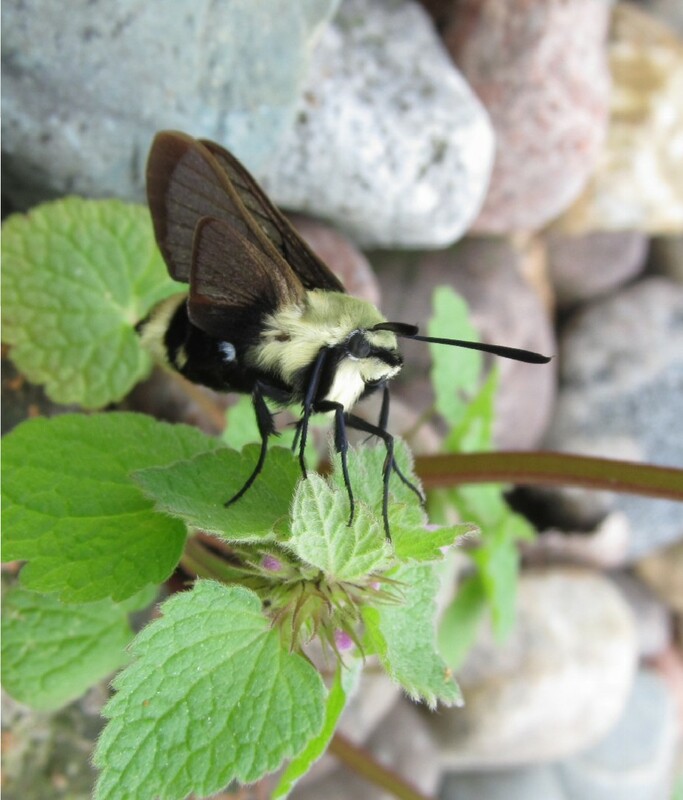 Snowberry clearwings (Hemaris diffinis) are actually a day-flying moth. This one must have emerged this morning. It moved a little, but didn’t try to fly while I took pictures. 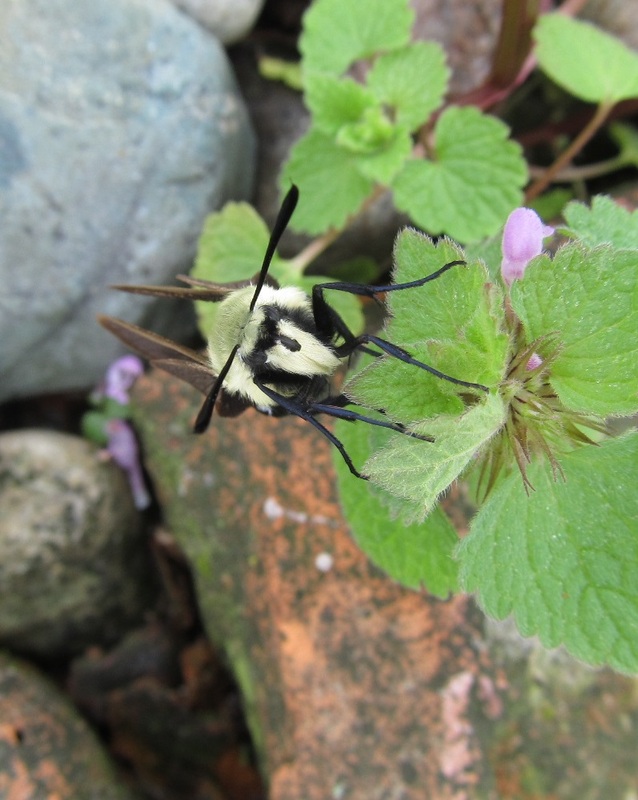 They resemble bumblebees and hover as they feed. 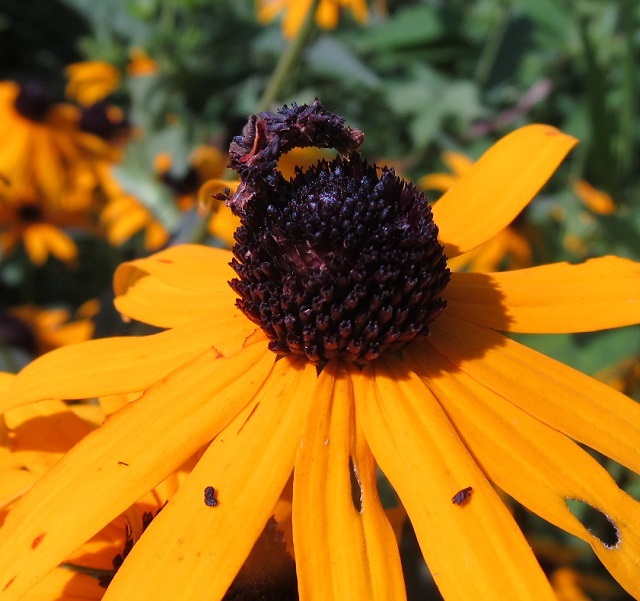 Bumble bees land to feed, often crawling up in tube flowers. 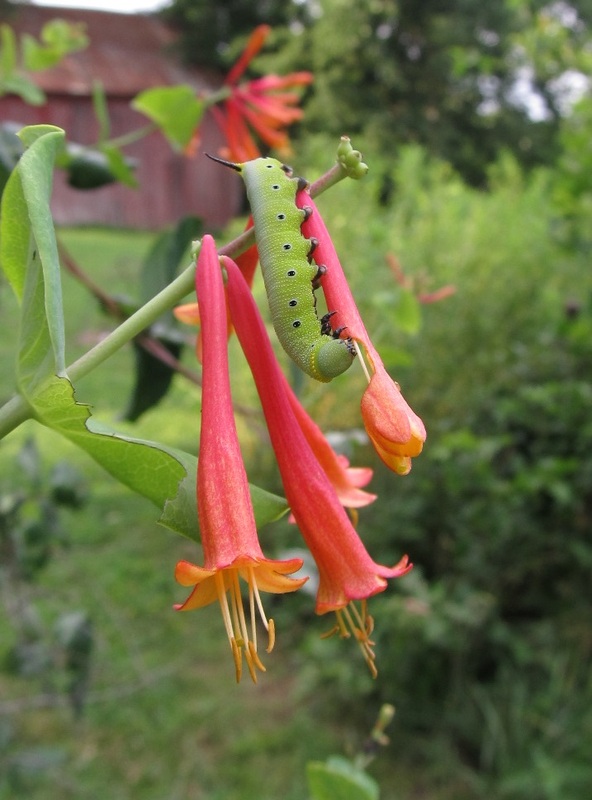 I’ve found their caterpillars on a red honeysuckle near my garden three years ago. 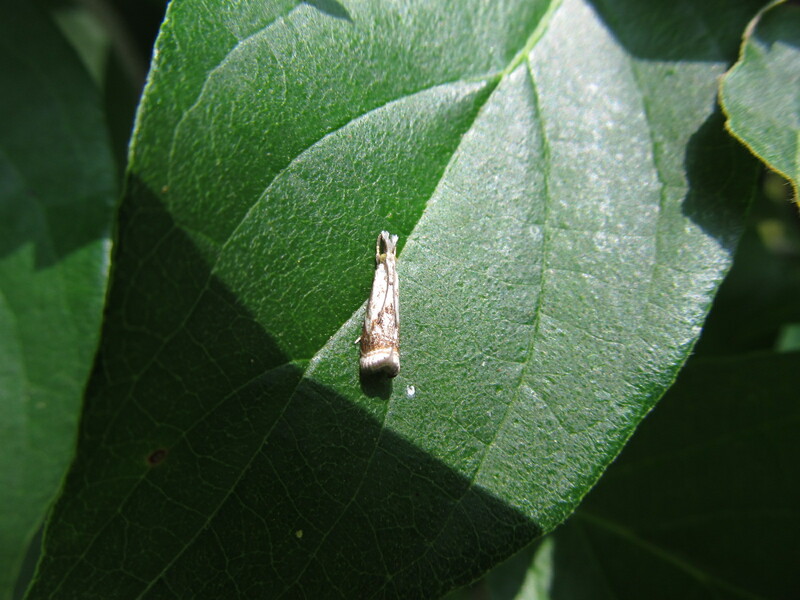 They also lay eggs on snowberry (Symphoricarpos), dogbane (Apocynum), and honeysuckle (Lonicera). 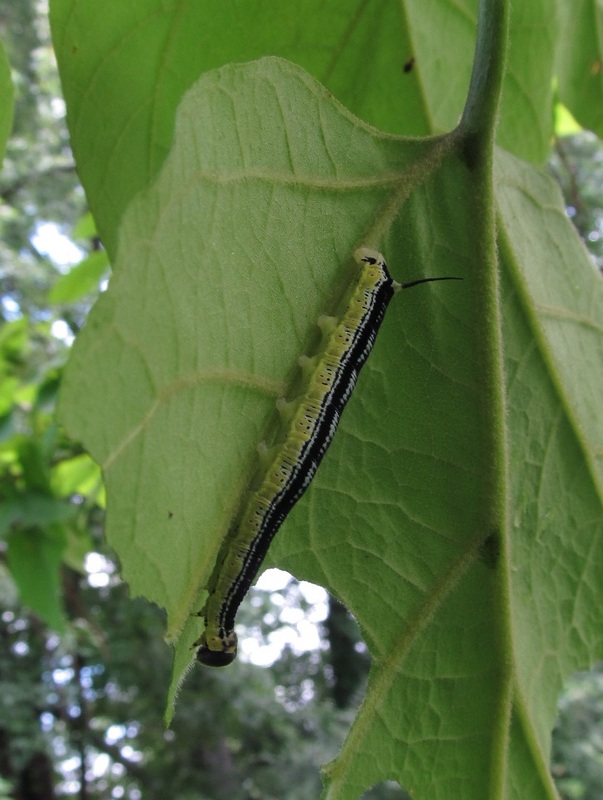 Their hornworm caterpillars are well camouflaged when they’re on leaves.